When you have implemented the Yieldr Ads Tag (in your tag management system) it is wise to check the implementation to verify how the Tag is loading. To help you out, we have created the Yieldr Tag Inspector, with which you can debug any implementation issues directly on your own website. With this plugin you can find out instantly whether the Tag is loading on your website, and which parameters and parameter values you are sending back via the pixel. Later on in the implementation process you can also use the Tag Inspector to check if your advertiser cases (and if configured, its piggybacks) are loading in the correct places. 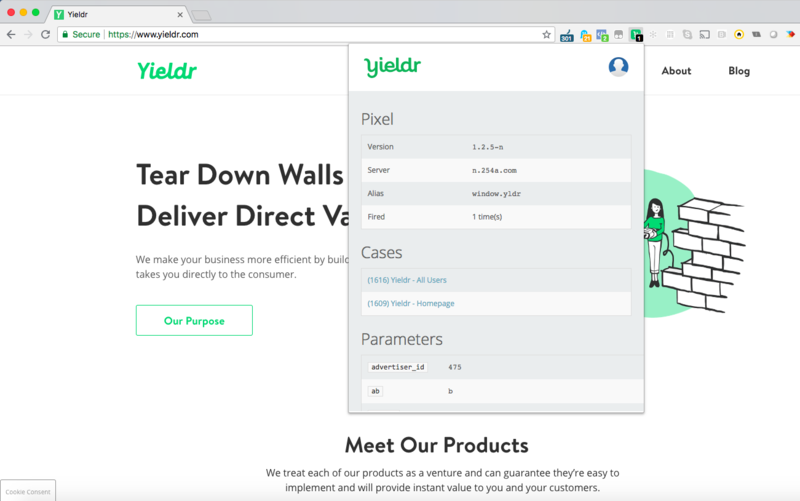 The Yieldr Tag Inspector is a browser extension for Google Chrome. You can find it in the Chrome Web Store. Within Google Chrome, click on "Window > Extensions"
Find the "Yieldr Tag Inspector" and click "Options".